MSE have been managing safe environments in the Midlands for more than three decades, and are one of the leading electrical contractors in Bromsgrove. 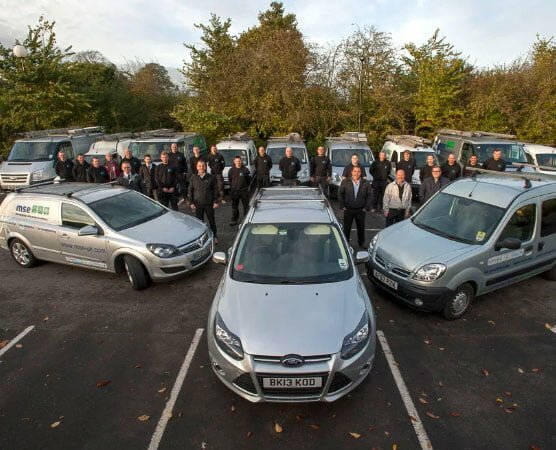 With extensive experience working across all sectors including residential, commercial and industrial, our Bromsgrove based electrical engineers and electricians are able to accommodate every mechanical and electrical servicing request. At MSE, it goes without saying that electrical safety is our speciality, and our teams work right across Bromsgrove and the surrounding areas to carry out all types of electrical testing and electrical safety inspections. Alongside our rigorous safety checks, we also offer data communication installation, access and door entry control, security systems, building management systems, emergency lighting, fire alarms and much more. We have an exemplary customer service record, which has been built upon decades of experience working in both the commercial and industrial sectors, and MSE are proud to have worked alongside national and global brands including Best Western Hotels, B&Q, JLR, Rolls Royce, Sainsbury’s and Vauxhall to name a few. At MSE we understand that time is money, so to facilitate fast and efficient response times, each engineer carries a PDA which provides them instant job information at a glance. MSE is a NICEIC registered company, and all our Bromsgrove electricians and engineers are fully trained and hold valid CSCS cards. In addition to regular continued professional development for our staff, we also run a fully accredited apprenticeship scheme training up the next generation of MSE engineers. Customer safety is as important to us as electrical safety, which is why we complete DBS checks on every new member of staff and ensure that they wear our distinctive company uniform and identification at all times. As well as protecting our clients we believe in protecting our environment, and MSE work to reduce our carbon footprint wherever possible, using tracking devices on our fleet vehicles to monitor our travel and improve our efficiency. We are located in the midlands area and are ideally positioned to serve Birmingham, Solihull, Bromsgrove and Alcester. The MSE difference is that we put our customers at the centre of all we do, and we strive to provide a professional yet personable service to each and every client on each and every project. We work alongside you and/or your team to identify your electrical needs and then we can create a services plan to suit your brief and your budget. If you are looking for electrical services in Bromsgrove, then call your local MSE engineer today on 0800 0343 913.